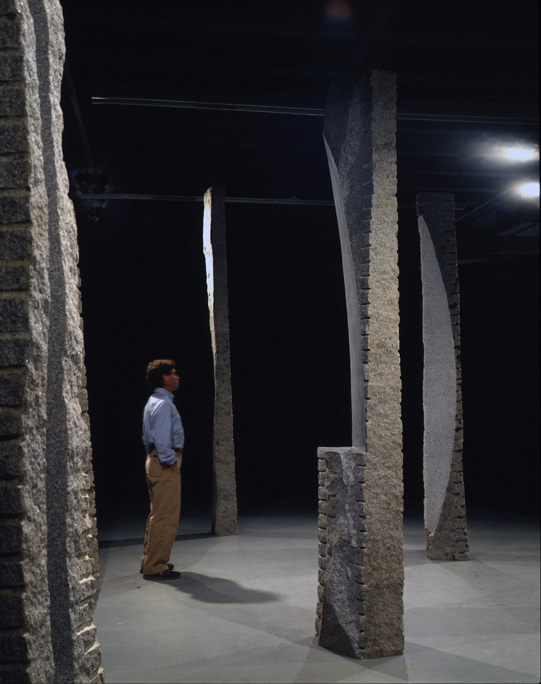 "Steve Gillman is sensitive to the essential nature of stone. He doesn’t overwork his material, robbing the granite of its natural characteristics, but instead, allows the patina, bumps and bruises of age to shine side by side with his own imposed adaptations. 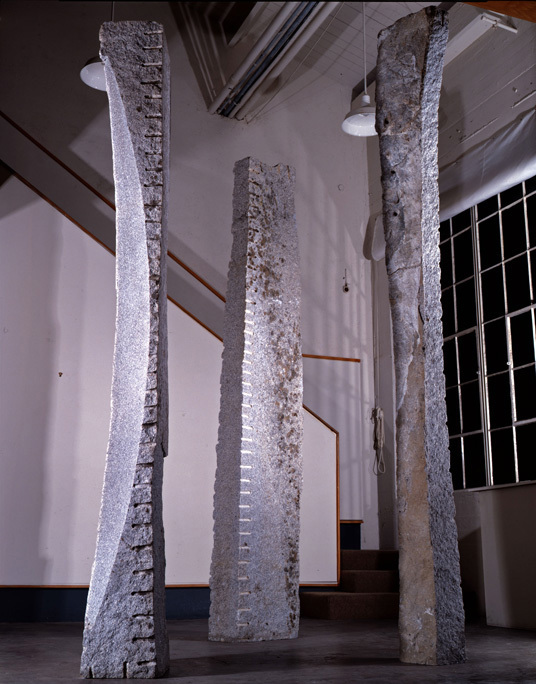 Working with granite that was quarried in the 1940s, Gillman creates monumental totems that incorporate natural and architectural elements. His concern for material and process is paramount. 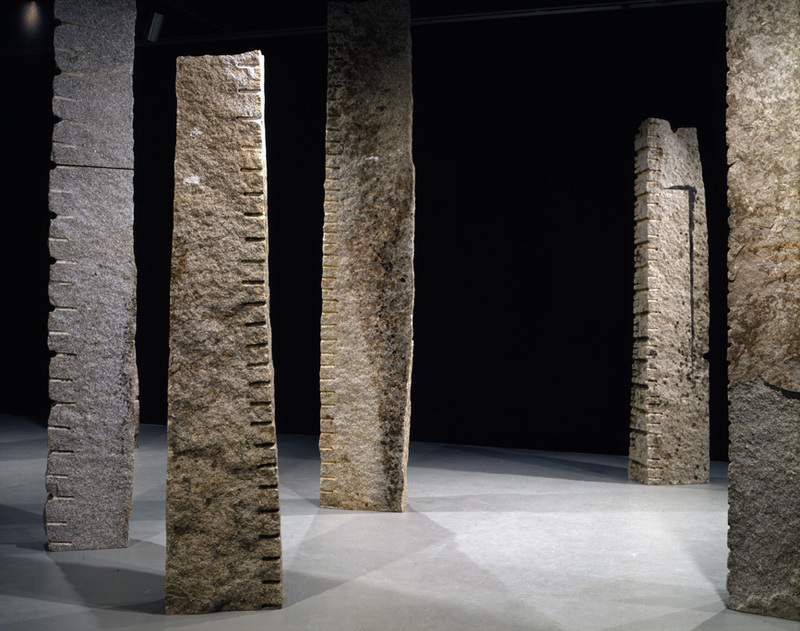 Stone Poem is a site-specific piece, a grouping of eight granite stones that strikes an effective balance between solidity and shadowiness, human form and abstraction. 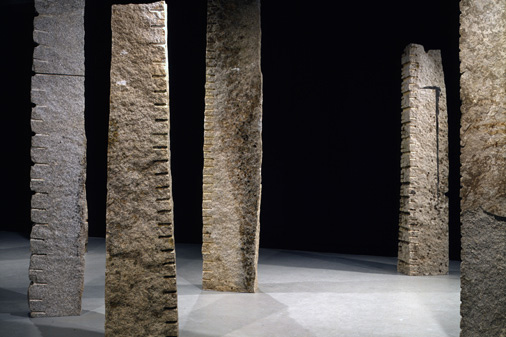 From certain vantage points, the pieces look like pillars from some ancient, abandoned settlement; from others, they could be distorted human figures engaged in dialog. Despite their size and weight, Gillman’s stones are neither static nor ponderous. Their proportions are graceful and elegant, and their weathered and worked surfaces reflect their history. These carefully aligned, evocative enigmas elicit romantic imaginings."